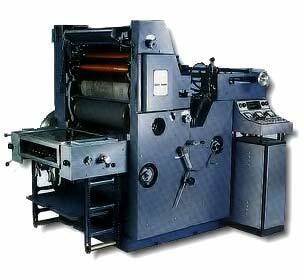 The Offset Pressman: Offset vs Digital - Which is better? Offset vs Digital - Which is better? When examining digital and offset printing, it is important to have an unbiased viewpoint. As someone who offers both services to customers in a high volume print shop, I would like to tell you the advantages and disadvantages of both. While many will tout that offset printing is vastly superior in quality, I can assure you that the latest digital printers make the difference virtually negligible. Unless you're corporate identity is critical to a specific pantone color, which many digital printers today now offer, digital printing comes very close to offset. So to simplify, this leaves two main criteria to evaluate both offset and digital printing - quantity and turnaround. Let's look at each process. This medium lends itself to shorter runs and quicker turn around for several reasons. Digital printing is not much different than clicking "print" on your home computer. It's easy to print off a few copies. It's quick and convenient. Now what if you had to print 2,000 copies? It is neither economical or time efficient. Digital printers look at it the same way. If your run is short, they will put it on a printer. But for time sake and expense, they will use offset. To print with offset simply means to "off-set" and image from a printing plate to the paper, a process a little more complex. Several consumables are involved making the setup a little more complex. In other words, you have to make it worth it to use this medium. In our experience one to two thousand copies is the barrier to make this difference. But once this amount is passed, cost drops significantly. Though the difference is minor, you can still print on a wider range of substrates with offset printing. In addition, you have the choice of running specialty colors, metallic colors or varnishes. Offset still offers slightly better looking solid colors that are deeper and more impressive. This is also mentioned for digital because it offers quality in another way - consistency. With so many variables, it is not easy for the pressman to keep the colors consistent, especially at the beginning of a run. Digital however can provide a consistent copy from the first to the last. Being operated by a versatile software, digital printers can customize each copy printed to a specific need such as a name or address. Therefore, direct mail order jobs most often are done digital. 1. 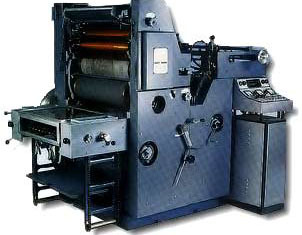 Do you offer both digital and offset printing? 2. Which paper stocks or other materials can each print on? 3. Can you provide a sample for me to approve before printing? 4. What would the cost be for me on either process? Questions like these will get you started. 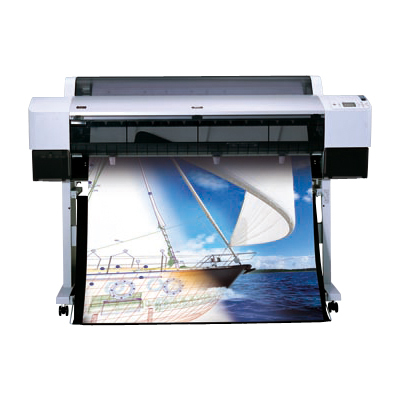 Be sure that the printer actually has the equipment to do both types of printing as he may give you biased answers. It is also possible that they will say they offer that service but sub-contract it out to a larger printer. Ask specific questions. 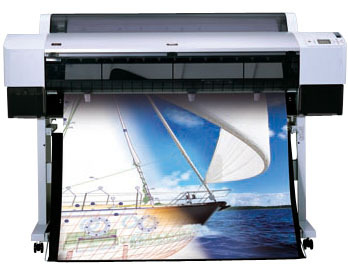 More than likely, the commercial printer will have more questions for you to ascertain what he is able to do for you. Provide as much detail as possible. Communication is vital to meet your expectations.